Giannis Antetokounmpo shared the message the Milwaukee Bucks sent after their impressive road win over the Golden State Warriors. The Milwaukee Bucks proved Thursday night that they’re worthy of championship talk with their big road win against the Golden State Warriors. 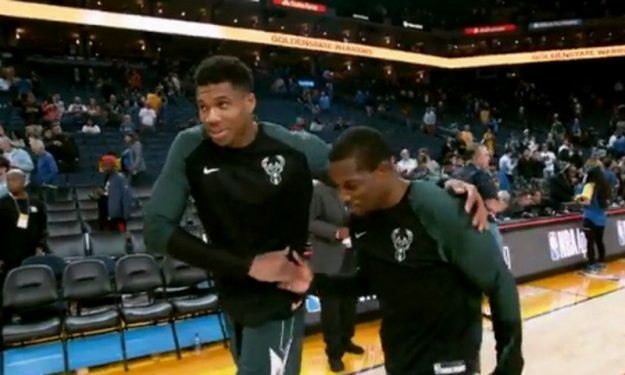 “The message we sent is that we arrived” Giannis Antetokoumpo said minutes after the end of the game at the “Oracle Arena”. The 23-year-old point forward added: “The team played very hard. We moved the ball well and we made shots. We just need to keep getting better every day and play good basketball”.